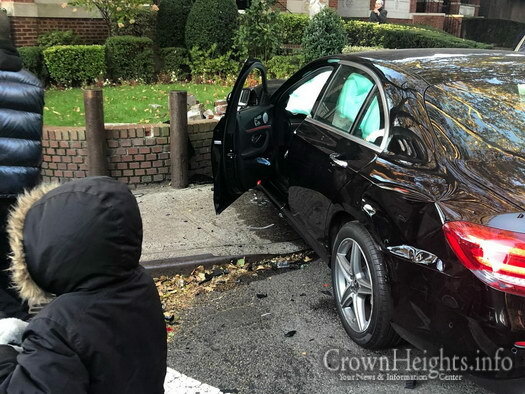 A father and son narrowly and miraculously escaped serious injury when they were struck by a vehicle that careened onto a sidewalk on Brooklyn Avenue Thursday morning. A father and his son, whom he was walking to school on Thursday morning, were both hurt after they were struck by an out of control vehicle that was involved in a collision just moments earlier. 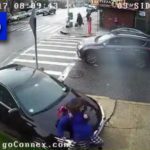 The incident occurred in the intersection of Crown Street and Brooklyn Avenue at around 8:00am. 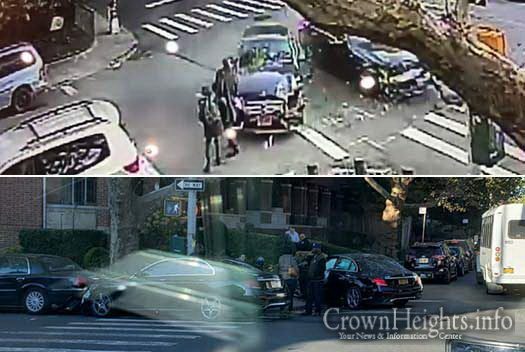 According to witnesses the traffic signal had just turned and the father began crossing the street with his son, when a black Mercedes sedan collided with another black Mercedes sedan and both vehicles then careened onto the sidewalk and striking both pedestrians. 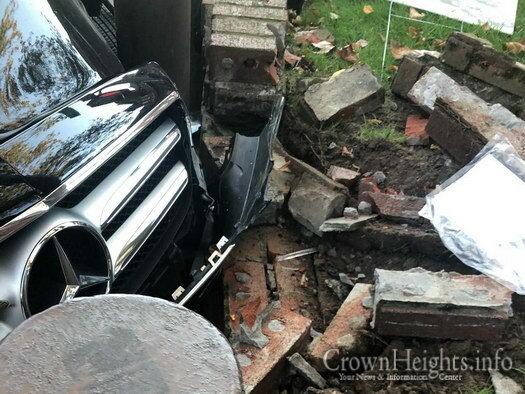 The force of the impact sent the father sprawling some 5 feet away onto the front lawn of home. 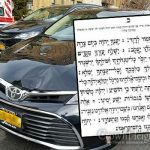 Hatzalah rushed both victims to nearby Methodist hospital in Park Slope, where doctors said they both miraculously escaped for more serious injury. One witness, who declined to be named, said that one car ignored a steady red signal, while the other was travelling at a higher rate of speed. An instant OPEN Miracle B”h!!!! Time for cushion barriers there. Time for delayed light! Cusion barriers are after the fact band aid need to tackle source of problem. Drivers taking red and the speed of cars coming down Brooklyn hill. Drivers speed like crazy around here. Also catching the light as it turns green is never safe! 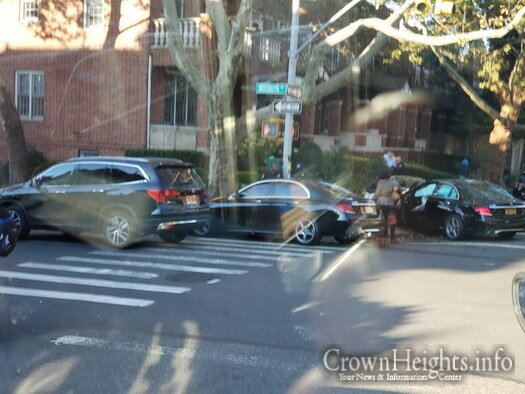 More needs to be done to slow down traffic coming down Brooklyn Ave. It has been a race track. Speed camera with visible Speed Indicator.